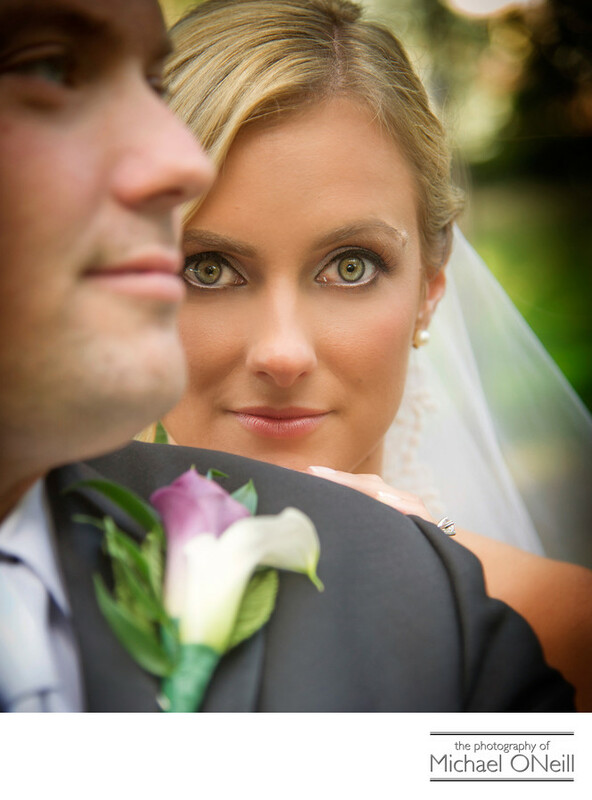 Portraits of the bride and groom, their friends and their families are some of the most cherished images you will bring away from your wedding day. Too often I see newer photographers claiming to capture your wedding in a candid, photojournalistic fashion when, in effect, they are saying that they don’t have the technical expertise and discipline required to create beautiful wedding portraits. Portraits don’t have to be old-fashioned or boring. They can be very contemporary and exciting...playful and fun. But they must have one exceptional quality...they must capture your beauty in the most flattering fashion so that you will cherish your wedding pictures for years to come. Yes, candid images from your event are important and I will take so many of them that you’ll be overwhelmed. But I will also create glamourous portraits of you, your bridesmaids, your family members and most importantly: of you and your husband. This contemporary wedding picture was captured in Northport Village park located at the village dock on Northport Harbor, New York. Located just a few minutes from my East Northport, NY wedding photography gallery and studio I have taken more pictures here than I could ever possibly remember. From weddings, to engagement sessions, to family portraits...I have the experience of creating wonderful images at Northport Village Harbor Park. If you are looking for a photographer who will bring out the absolute best in you and capture those images for a lifetime of fond memories, give me a call. I would love to collaborate with you at your special event.